Acquisition of real estate by foreigners in Spain - a common phenomenon. There are more than enough prerequisites for that - a country with an interesting history, magnificent architectural monuments of the Middle Ages and the high standard of living. The picture is supplemented by a wonderful nature and a comfortable climate. Particularly interesting from the point of view of real estate investment is the coastal area of the country. 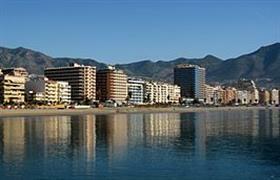 One of the most popular destinations - Costa del Sol, where the resort town of Fuengirola stands out. The city is located in a bay, surrounded by the mountain of Sierra de Mijas, making its microclimate quite smooth. Real estate in Fuengirola - a worthy choice for investment, as there is everything you need, not only for recreation, but also for a permanent residence. The coastal area of the city abounds with cafes and bars. There are about a couple of hundred anchorage areas. The city offers seven beautiful beaches of golden sand that constantly receive the award "Blue Flag" for cleanliness and arrangement. Their total length is 8 kilometers and their average width - about 40 m. The city has preserved the flavor of a fishing settlement against the background of modern entertainment complexes. The resort’s business card is the fortress of X century in the Moorish style – the Sohail Castle, which has a rich history. The city has a zoo, a water park, two dozen golf courses and the liveliest place – the quay alley with a length of 7 kilometers, studded with cafes and shops. The closest airport is located 27 km away from Fuengirola in the city of Malaga. So the life in the city will not seem boring, not to mention the rental profit if you do not live there permanently. The very latest resort properties on the market - studios, one and two bedroom apartments that are affordable and easy to find their tenants. Modest variations from the owner of 50 thousand euros - not a rarity. Spacious apartments with a large terrace and a couple of bedrooms cost an average of 100 thousand euros. Bank sales, typical for Spain, give you a chance to buy a luxury property at half its market value. The registration of transactions for foreign buyers is easy and transparent.